The first British agent/consul at Basra (Bussorah) was appointed in 1764. A site on the river just outside the town, variously called the Ma’gil or Belvoir site, came into British possession about 1775 and a consulate was built here. The facility also included store-rooms, a coal depot for the residency steamer, the Comet, shared with Baghdad and a wharf and dock. This site remained the consulate’s home until 1870, when it was given up in favour of a site and buildings closer to Basra town, in the quarter of Gizara. This new site was initially rented from Hajji Ibrahim bin Othman, and bought from him in 1895 by the Government of India, together with some adjacent land occupied by Messrs Lynch. Not long afterwards, this building became uninhabitable after the foundations subsided and the consul moved into temporary accommodation while the building was being reconstructed. Funding was provided by the Government of India, the first plans by a Mr Veevors proved much too elaborate and a simpler scheme was produced locally by an AB Taylor, and a huge load of oversight and bureaucratic tasks fell on the consul, AC Wratislaw. The new building was completed in 1903, at a cost of £4,000, with the offices on the ground floor and the residence above. The Office of Works became responsible for the property in 1905. 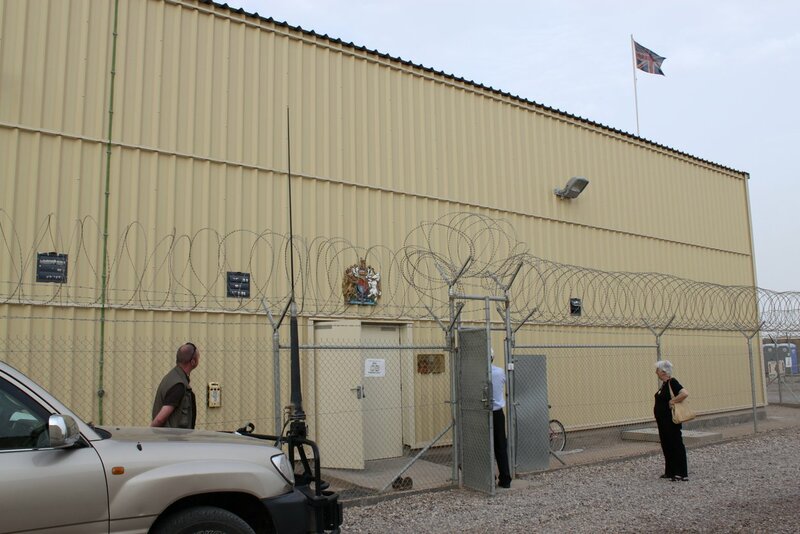 The property was used as the headquarters of the Mesopotamian Expeditionary Force between 1914 and 1920, after which it was taken over by the government of Iraq under the mandate. It was re-occupied as a consulate in 1928. In 1946, a small piece of land was ceded to the Basra municipality for the construction of a new road along the northern boundary. At the same time, a pair of semi-detached, two-storey houses was built in the grounds by the Ministry of Works. This building remained the consulate until 1967 and was sold in 1970. 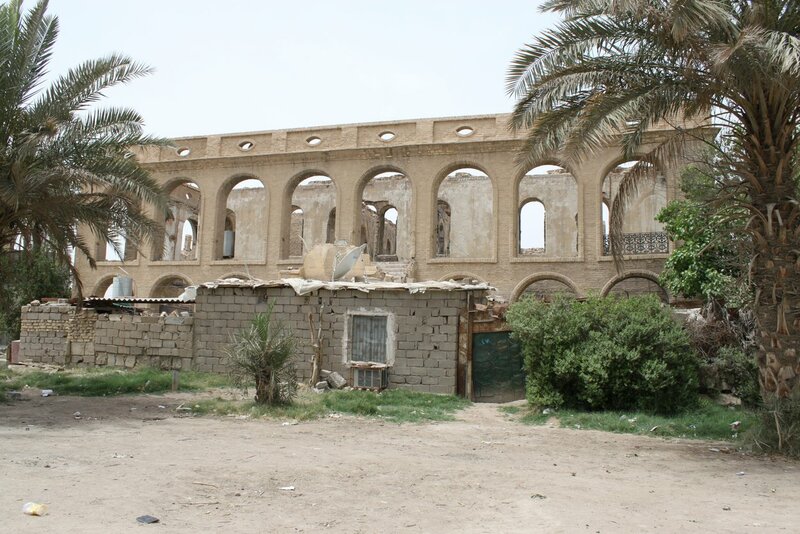 It became the Basra Natural History Museum, suffered some damage from Iranian shelling in 1986 and depredation and looting in 2003. A vice-consulate opened in 1839. In the early 1930s, the consulate leased and moved into a large recently built house that stood in the stony desert half a mile outside the city. It was built by a John B Panofil, a somewhat eccentric cleric who later became an American missionary. It was on the steps of this consulate that, in 1939, a consul, George Monck-Mason, was murdered by a blow from behind of a pickaxe wielded by a member of a mob that believed that the British were complicit in the recent death (in an accident) of King Ghazi. The lease was given up in 1959, but the house was still easily recognisable in the 1990s [still?]. The Post closed in [?]. 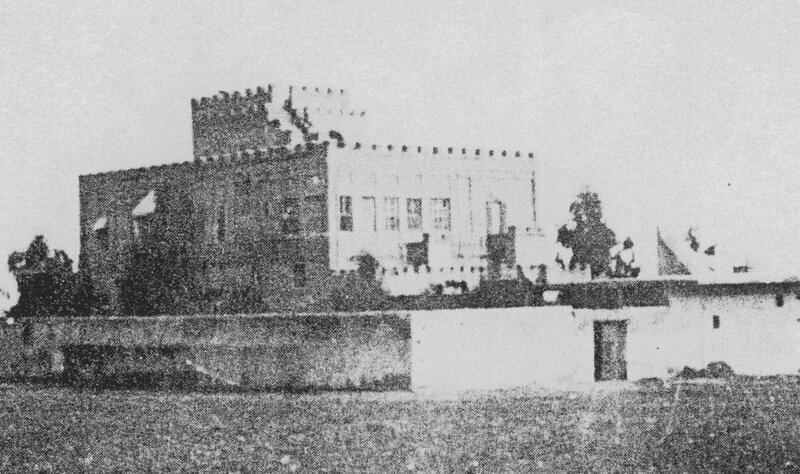 Former consulate at Mosul, 1953. Mr Panfil on the steps of his new Mosul house, 1932.